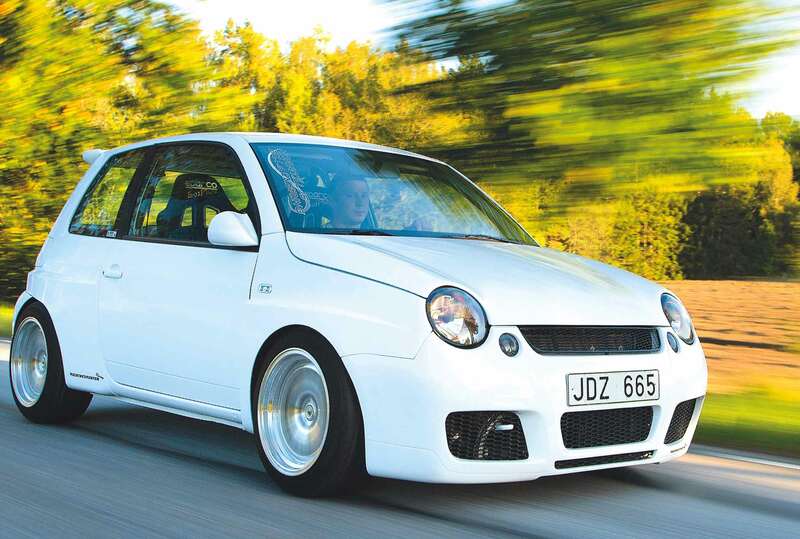 When Stefan Olsson bought a cheap Volkswagen Lupo for commuting, that was good enough for a few years. But his day job in boat-building, coupled with his enthusiasm for horsepower, soon awoke the angry pirate in him… Words: Daniel Bevis. Photos: Patrik Karlsson. Seasoned cartoon fans and enthusiasts of 1990s culture will undoubtedly be familiar with ‘Twenty-Two Short Films About Springfield’, an iconic episode of The Simpsons which aired in ’1996. It was basically a sort of animated twenty-minute interpretation of Pulp Fiction, celebrating an irreverent keenness for randomness and disconnected narrative. And everyone’s favourite bit is the hugely tall man in the tiny car. “Do you find something comical about my appearance when I’m driving my automobile? Everyone needs to drive a vehicle, even the very tall…” Picture that towering gent in his small car, incongruously squished in through force of necessity. Now, imagine instead that the man is an engine. A really shouty one. And the necessity is ‘loads of horsepower’. Now, if you’ll forgive us a momentary wander down a tangent, there’s a theory that’s oftabounded in creaky corners of the internet that one day we’re going to run out of songs. ‘There are only so many notes, and so many sequences in which to play those notes,’ these troubled worriers proclaim. ‘We’re already at a saturation point where everything sounds like something that’s come before it – when are we going to reach the point when there just aren’t any more songs to write?’ This is, of course, utter hogwash. Music doesn’t work like that – these cretinous worrywarts are flagrantly disregarding arrangement, context, equipment, mood, method, not to mention nuance, pitch, tone and vibration – there are far too many variables. Sure, the ingredients are all plucked from the same menu, but it’s like saying that one day we’ll run out of great literature because all the words have been used. It’s just nonsense. And so it is with Stefan’s oblique sea-shanty of a Lupo. Sure, people have been tweaking, refining and upgrading this platform for a pretty long time now, but that’s not to say that we’ve seen (or heard) it all before, not by any means. There’s sufficient customisability within the genre that even when you get a car such as the one we see here, which has a fabulously well-stuffed spec sheet that ticks many that’s-the-correct-part boxes, it’s still a unique entity. And a lot of this comes down to Stefan’s day job – he’s a custom boat-builder at place named Rosättra Båtvarv, so it’s safe to say he’s pretty good with his hands. 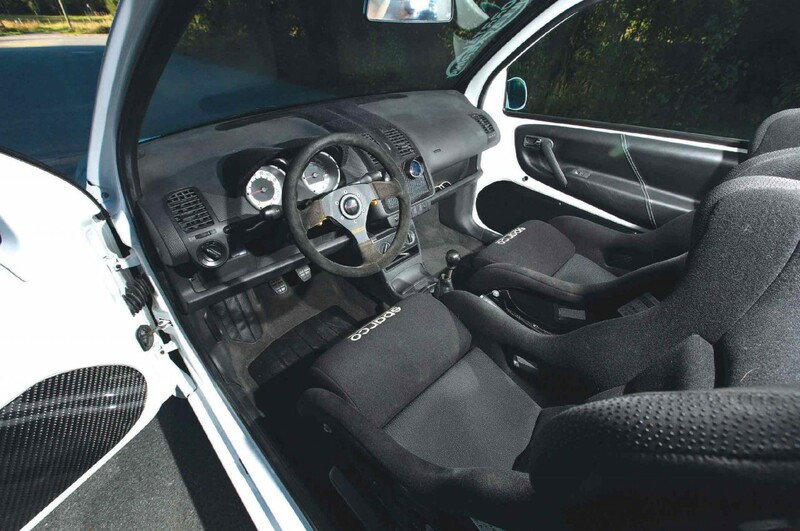 “It took us about a year to build the car up into a road-legal 1.8T runner,” he recalls. “But it was still that ugly green, and largely standard-looking too. So after some traction problems, I decided to make it wider.” Yes, as one does, Stefan simply set about crafting some fatter bodywork so he could expand his track a little and get a broader footprint along with a bit more rubber on the road. 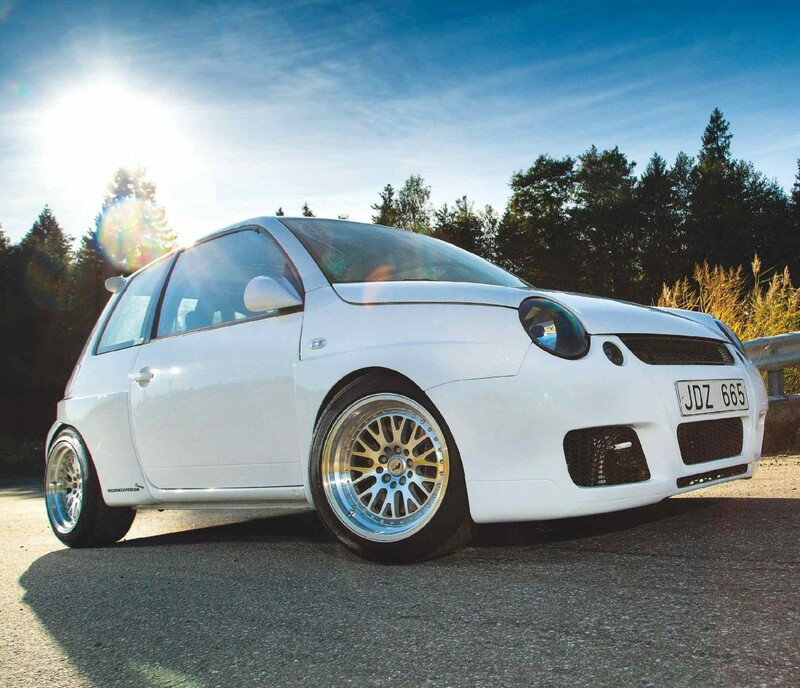 Being in the line of work that he is, he knows a thing or two about fabricating stuff to exacting standards, ensuring it has the durability to cope with hard use and a variety of conditions, and the bodywork that’s resulted here gives the previously cutesy Lupo an aggressive profile, kind of like a baby Integrale. Its retro box arches, 80mm wider than stock, have a touch of the E30 M3 and ur-Quattro about them too, and the aesthetic is a true one-off – although it doesn’t have to be! Stefan says he’s kept all the moulds from the kit, so if you’ve got a Lupo that needs angrying up then you can message him through Instagram (username: @stefan7199) and he might be happy to sort you out. Stefan’s overarching aim with this big-power widebody was to create something that looked like what would have happened if Volkswagen had decided to build a WRC Lupo, and he’s achieved that very successfully. 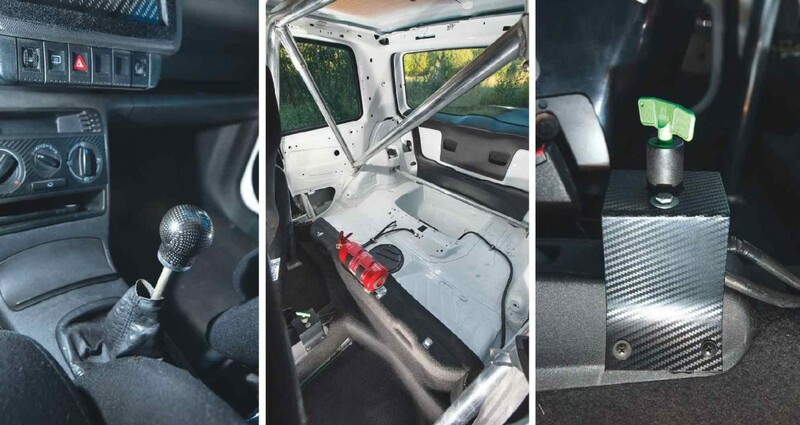 The interior certainly speaks volumes about the car’s seriousness; “I stripped out the stereo and the airbags and all those other useless things,” he laughs. Peep in the back and you’ll find that it’s all bare painted steel and clean as a whistle with it, featuring a rollcage and an extinguisher, while up front there’s a pair of Sparco fixed buckets. 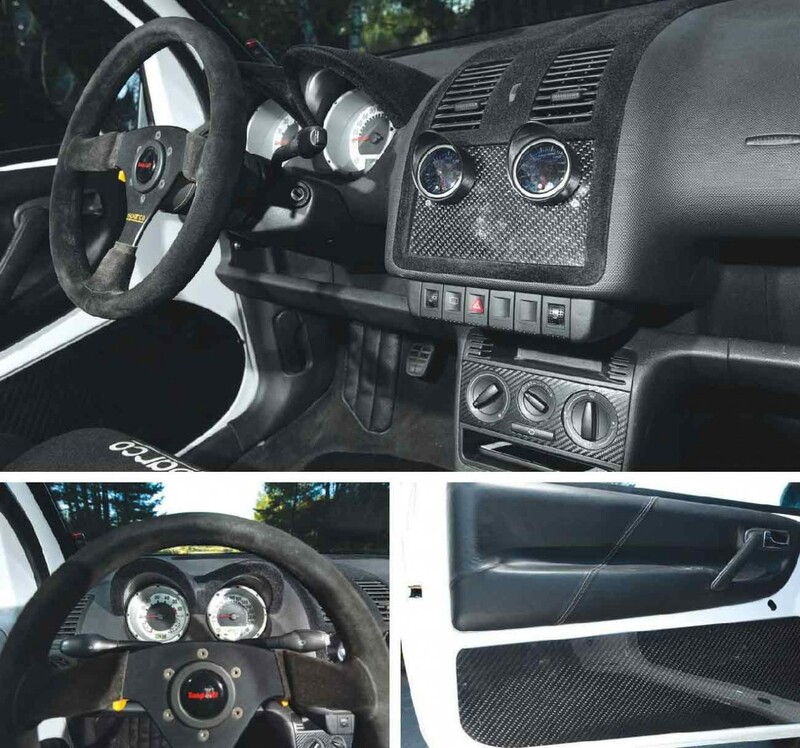 Stefan’s turned his hand to a different kind of fabricating in here, creating a variety of custom carbon fibre details including the stunning doorcards and dash inserts, while glare has been eliminated by flocking the gauge pod and the central element of the dash. The exterior sports a unique and home-made adjustable carbon fibre spoiler, and he’s had a good think about how to remove some weight from the car too; throwing all that power in and stripping out the interior evidently not being enough, Stefan looked to the Lupo 3L for inspiration. 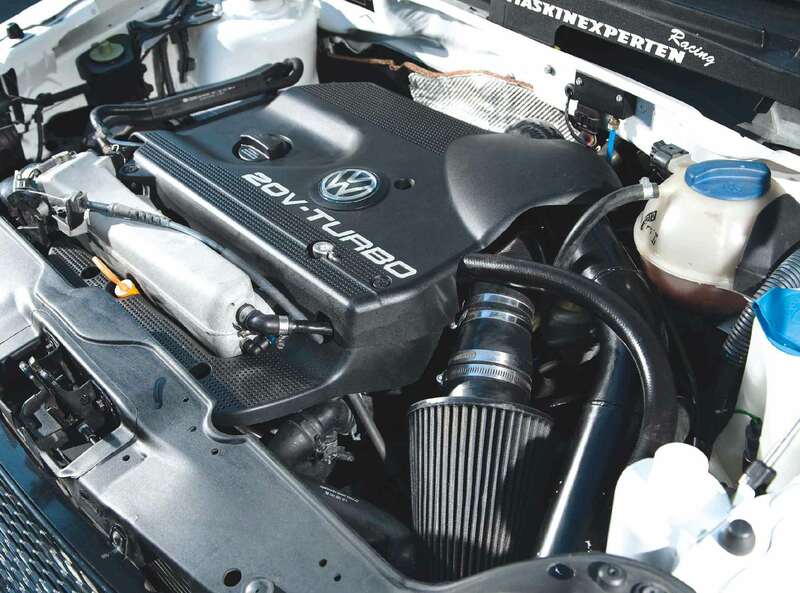 For the uninitiated, the 3L was a special-edition model designed to be a factory hypermiler; super-lightweight and extensively modified to be able to run 100km on three litres of fuel (which equates to about 94mpg). 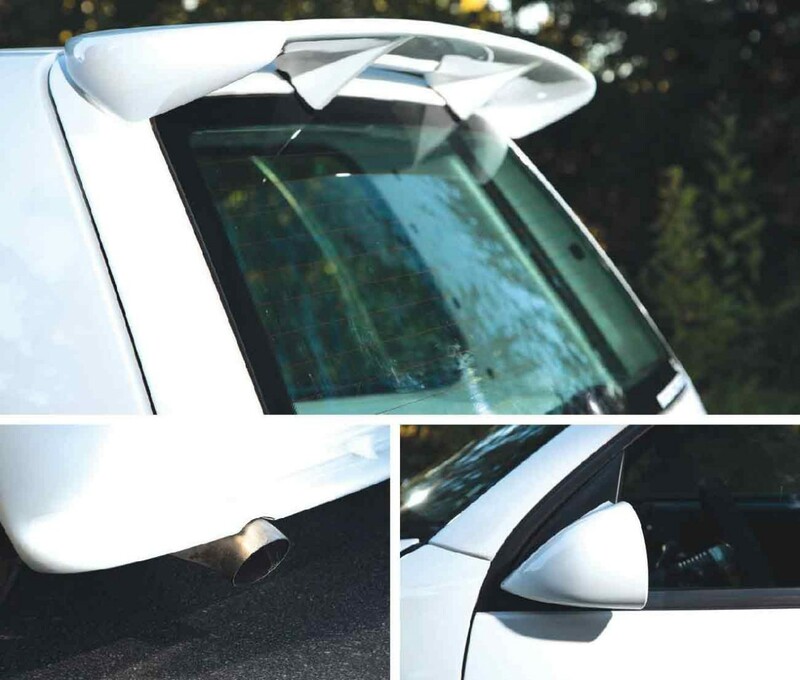 Lightness can be used for performance as well as economy of course, Colin Chapman taught us that, so Stefan’s pinched a 3L’s lightweight aluminium-magnesium alloy doors and bonnet as well as its thinner window glass for this project! So with this buccaneering megahatch complete, on the road, and ready for adventures in plundering, is Stefan happy to sail those modifying seas and spread a little mischief? Well, here’s where he deviates from the traditional pirate template, as he’s in two minds about the car’s future. Whereas Blackbeard and his ilk would jealously guard their booty and perhaps bury it underground, this guy’s happier to share the love. 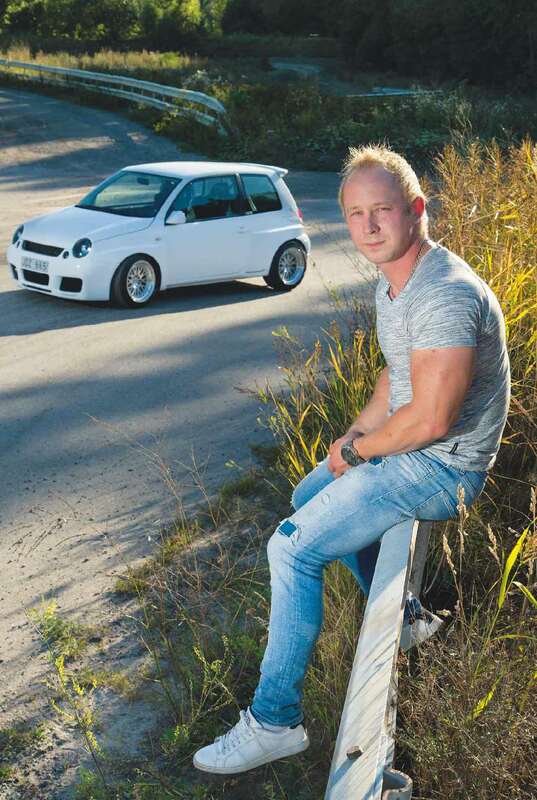 And not just in selling the widebody kits – he might actually sell the whole car too. “I’m not sure, I might keep it,” he ponders. “If anyone wants it, they can get in touch via my Insta. 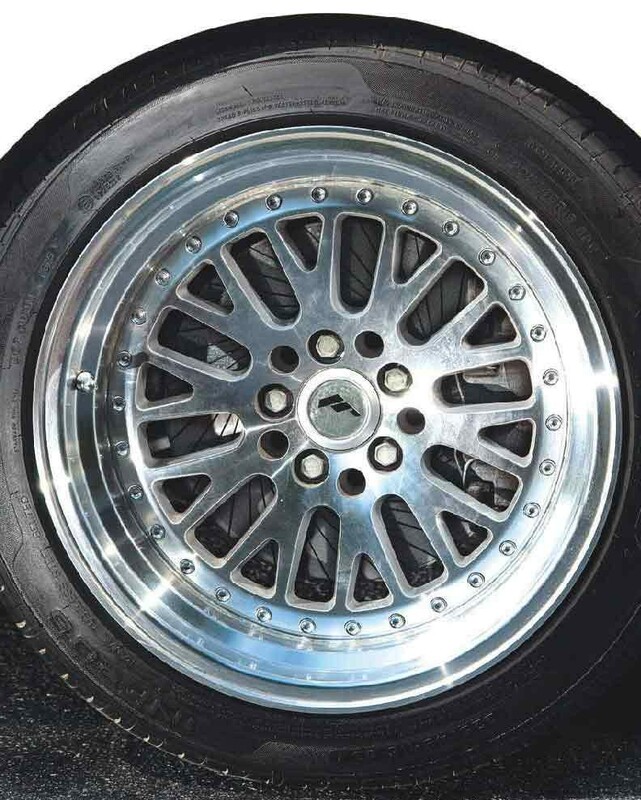 But if I keep it I’ll probably go Haldex, so…” Well, we reckon that’s decision made. He’s stuffed a cartoonish amount of power into this tiny car already, and revivified it to pseudo-WRC aggression, all with his bare hands. Would you go this far and not go further? We know what we’d prefer. And we suspect the piratical Stefan does too. SHOUT: Thanks to Christoffer Järleby, Andreas Nilsson, Martin Palm, and my work - Rosättra Båtvarv, building the finest sailboats!